Business cards are cards bearing business information about a company or individual. They are shared during formal introductions as a convenience and a memory aid. A business card typically includes the giver’s name, company or business affiliation usually with a logo and contact information such as street addresses, telephone number, fax number, e-mail addresses, and website. Before the advent of electronic communication business cards might also include telex details. Now they may include social media addresses such as Facebook, LinkedIn, and Twitter. Traditionally many cards were simple black text on white stock; today a professional business card will sometimes include one or more aspects of striking visual design. These Business Cards are easily editable for easy understanding. Just drop in your own images and texts, and it’s ready. Modern, simple and unique layouts with strong typography make your business cards look professional. 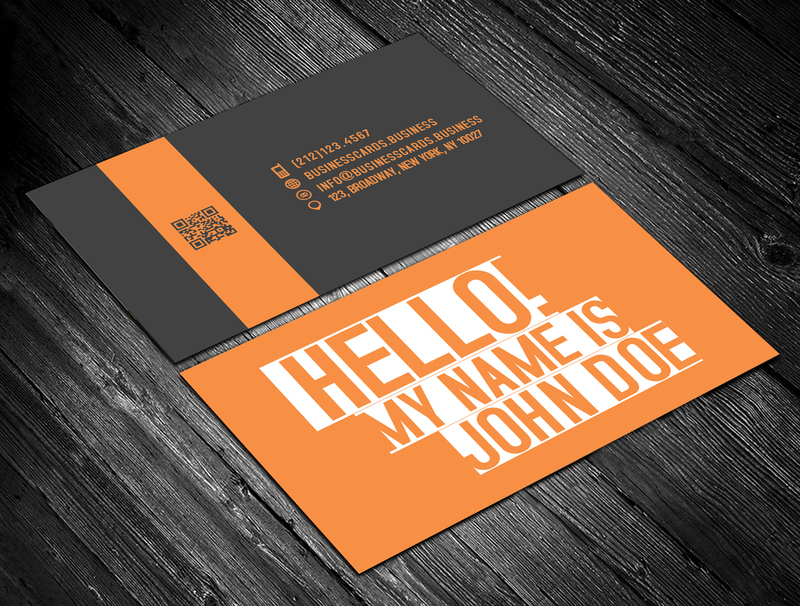 Creative business card design that you can use to print professional business cards with the ultra thick design. This business card has a blue color design with a thick white line. You can download it and can use according to need. Free Luxury Business Card PSD Template is a large template design for Photoshop that you can use to make professional and beautiful business cards with style. This business card template has two sides and a gold background color with elegant font and style. You can use this business template to present a business where elegance is important. Coaching & Business template is designed especially for training, coaching and business and those who offer business related services. Modern, simple and unique layouts with strong typography make your design development look professional. This template will suit for fashion, photography, lifestyle and architecture. Here is a wonderful style of business card. Owner name can be written at title side and other information on another side of the card. You can edit it accordingly. Orange and black color combination is very attractive and seems classic one. Business cards are perhaps one of the all-time and most efficient ways to improve your brand. Create unique designs to get noticed and easily recognized. Make your cards stand out from the crowd! Customize your business cards to showcase brand identity and at the same time be a handy marketing and promotion tool. Be sure to communicate the right message to your clients. Hand over quality business cards to achieve positive feedback.